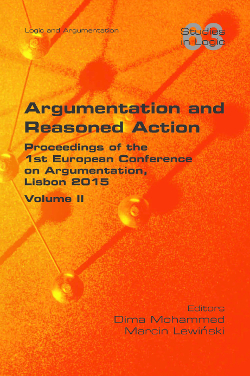 The proceedings of the 1st European Conference on Argumentation: Argumentation and Reasoned Action, edited by Dima Mohammed and Marcin Lewiński, are now available in two printed volumes from College Publications within their Studies in Logic and Argumentation series. Volume I (852 pp.) 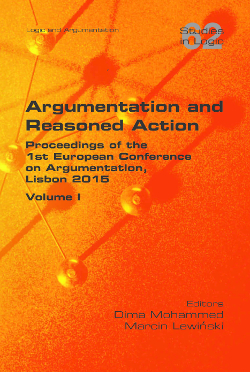 includes 36 long papers along with the commentaries on them delivered during the conference. Front matter and full table of contents is available here. Volume II (1104 pp.) comprises 10 regular papers presented within three thematic panels, as well as 71 regular papers from the general conference programme.